our group of over 200 providers at competitive prices. right service providers for your locations. communication providers, allowing you to buy with confidence. commercial WiFi suppliers, and the hospitality industry. Our solution lowers costs while improving mobility support for your employees. We provide complete carrier sourcing solutions to uncover the best value in business internet connections. 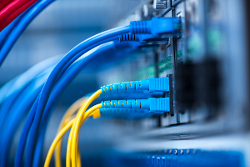 Is your business ready to move up to fiber? Prices and availability have improved dramatically! Odds are really good we can source fiber at a great price.